Major developments in 3D design and gaming tools/engines have allowed for a more authentic modeling of real-world environments. Geographers, planners, and (even) neuroscientists have adopted these methods with great success but their impact is limited in the humanities (Maguire, Nannery, & Spiers, 2006). We are developing an “intelligent” virtual world, Virtual Plasencia, which places users in an interactive environment of actors and events. Briefly, 3D modeling involves matching photographic textures (from historical sources or acquired with a photo camera) with polygon models of the structures. These polygon models will be created based on architectural plans and other historical sources (city plats, medieval drawings, etc.). The level of detail will depend on the importance and the location of the structure. For important structures (i.e, the cathedral, noble homes), we will design both the interior and exterior using high polygon models. For structures of secondary importance (i.e., filler buildings, common houses, and shops), we will use low polygon models to reduce “draw calls” and improve performance. Users will be able to walk-through the environment and access different perspectives as they enter a particular structure. We will create models using Google Sketchup, Blender, and Autodesk 3ds Max. More importantly, these models will become intelligent when ported into gaming engines (i.e., Unity 3D) and complemented by computer scripts that maximize navigation and “gameplay.” This world will use open source interactive libraries for manipulating and viewing complex data. 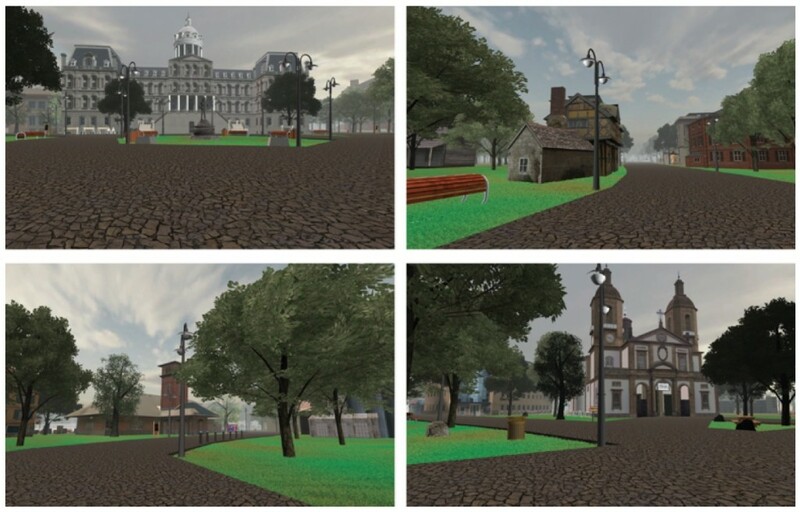 (See Prototype B – Interactive Visualization of Virtual Plasencia). The project is innovative because users can easily switch from a micro to macro geographical scale while navigating through history. 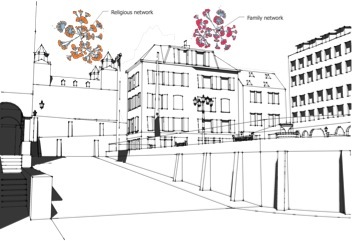 By mapping the historical events along with the social, religious and economic networks that characterize them, we will display the influence and reach of the city and citizens of Plasencia not only in geographic space, but also in thematic space. This will offer an unprecedented opportunity to look at history through a dynamic lens as it develops from within the city walls (micro scale) to the larger Iberian Peninsula and Europe (macros scale) in space, time, and theme. This will be achieved by (1) creating an interactive and dynamic geovisual analytics system (Andrienko et al. 2010) that includes a map repository for this period, (2) linking these maps to a Geodatabase that is being simultaneously populated by historical data, (3) by visualizing the events and networks that extend out of Plasencia. We will borrow current state-of-the-art geographic information retrieval approaches (Derungs and Purves, 2013) that have not been used in digital humanities to automatically extract space and time references from semi- and unstructured text transcripts. We will further semantically mine these transcripts, using state-of-the-art latent-semantical analysis techniques to automatically extract semantic relationships between entities, persons, and places (Steyvers 2007). The transcript and the extracted relationships stored in a GIS database, will be subsequently visualized using the empirically validated spatialization framework developed by Fabrikant and Skupin (2005). This includes self-organizing maps and social-network visualizations, which are coupled with geographic maps stored and made accessible in a web-enabled GIS. Our visual front-end will rely on above mentioned web technology, and also include state-of-the-art web mapping frameworks such as OpenLayers (http://openlayers.org), Leaflet (http://leafletjs.com), and Unfolding (http://unfoldingmaps.org). An example of Dr. Schinazi’s Ambler Campus project where similar modeling and game development techniques will be used to create medieval Plasencia. Models created in Sketchup PRO, CA and Autodesk 3ds are ported into a gaming engines (i.e., Unity 3D) and later transformed into a stand alone and/or web-based applications that allow users to actively navigate the environment using desktop or other more immersive virtual reality tools (see Virtual Ambler project: http://n.ethz.ch/~benzs/vworld/Virtual Ambler.html).